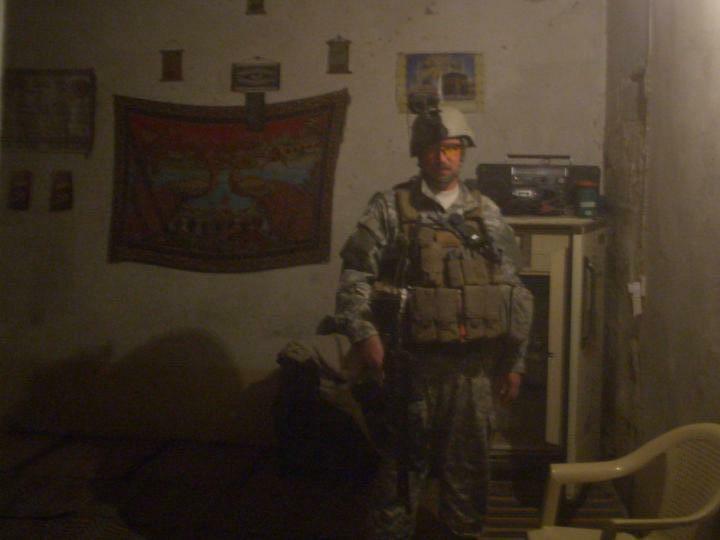 I was part of a search for a suspected IED maker in western Baghdad in '06. We hit his house and his wife claimed that her husband had been "kidnapped" (this was a very common story fed to us when we came looking ... husband was often hanging low across the border in Jordan or Syria, or hiding at a friend's house down the road). Searching their bedroom I discovered under the bed some strands of Christmas tree lights - obviously not to celebrate Christmas, these were commonly used in IED making - as well as two dark chest racks, each with three loaded AK magazines. 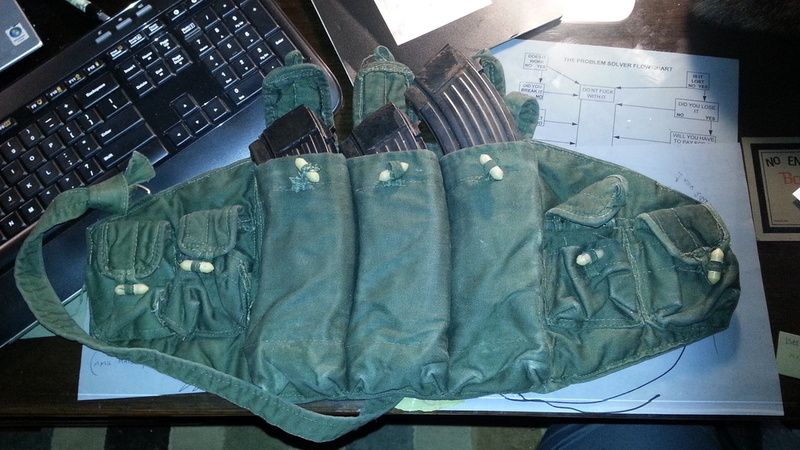 Each Iraqi household was authorized one functioning AK assault weapon and one loaded magazine. Anything more was suspect - and handguns were an outright "no-no." I kept one full rack (minus the ammo) and one of the other guys with me kept the other. I'd forgotten all about this until I found it among some things in a plastic tote in my garage. I'll display it in my "man cave." Great story and great rig. Thanks for sharing. That's cool that you got the rig and mags from the same place. Great pic as well. It may be a stupid question, but what role did Christmas light play in making IEDs? Just general wiring? I'm cracking up at the flowchart laying under the rig..."does it work"..."did you break it"! I believe that they would strip the plastic coating off of parallel parts of a strand, so that if crushed together - vehicle driving over - the wires would come in contact and electrical circuit would detonate the bomb. I think - trying to recall how it had been explained to me back then. Other things we looked for were cordless phone parts, bicycle tire inner tubes, etc ... Things commonly used for home-made IEDs. In southeastern Iraq - in the Shia areas - IEDs tended to be significantly more sophisticated, as they were often produced across the border in Iran.